One of the top dancer socials in the Bay Area, featuring an underground vibe, salsa competitions, and delicious sangria, hosted by the Afinkao Dance Company. Latin Fever Fridays is a cool event hosted by Afinkao at the Beat in Berkeley. It's a great event to go to, especially if you dance On2, and attracts some of the North Bay's top dancers. This is definitely an event that's targeted at serious dancers, so if you're a complete beginner you'll probably want to get your feet wet elsewhere. The venue is pretty spacious, although it's very dark, which can be a good or bad thing, depending on your preference. On the plus side, the floor is solid and the DJs play good music. There's also usually some tasty sangria to be had. Aside from the dancing and lessons, there are often special performances and competitions, like Afinkao's annual footwork competition, which is always fun to watch. The event only happens on the 2nd Friday of every month, and is not one to miss. In my opinion this is the best night of dancing in the Bay Area. Low lighting and a laid back vibe give this monthly social a cool underground feel. At $12 the price is pretty steep, but the music is off the hook and the sangria really hits the spot when you take a break from the dance floor. It’s been a while since my last visit here and I’d like to respond to salsera24’s comment on Aug 9. She’s absolutely right…I’m sorry to say. I’ve been dancing salsa since the 1960’s in NYC. 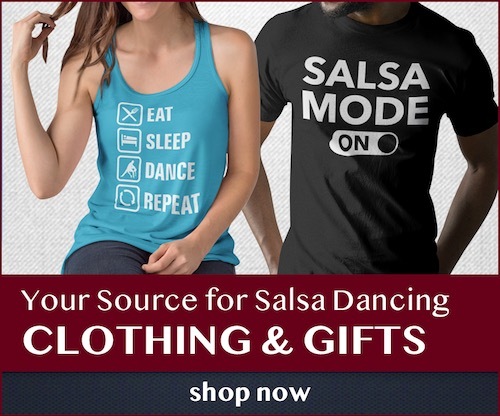 The tempo and dance styles have changed over the years, but what hasn’t changed in most salsa venues is the feeling of “supportive community spirit”. Unfortunately, I see a new generation of dancers hitting the scene that feel it’s “absolutely necessary” to show off everything they know in one dance. This has led to a closed minded snobbery that takes more away from the “superior” dancer than from the person they have rejected on the floor. Everyone has a starting point and needs encouragement as they pursue the challenges of improving their game. Regrettably, I see more dancers these days who miss the point of being part of this “larger social community”. Yes, it is fantastic to learn and execute the moves with uncanny precision, but it lacks meaning if you’re just performing patterns and routines WITHOUT feeling your partners needs. Not everyone is an Advanced Dancer or an On2 specialist. There should be a supportive community for those who are interested in achieving these goals; a community that’s willing to slow down their pace occasionally, in order to bring new members on board. It’s about cooperation and sharing with others. Formal classes are necessary but sharing is absolutely vital to the survival of this art form. What good are Advanced dancing skills if you don’t “share them” with others? I’d say, it’s mostly good if you are an advanced on-2 dancer and know the people in that crowd. A lot of snobbish super-young kids who, it looks like, have learned all their salsa in the last couple of years and, while they became quite good at the moves (at least on-2), know nothing about the etiquette and the supportive community spirit the salsa venues in the Bay Area are known for. The most snobbish venue ever. Hands down best social in the bay. One of the only socials I make it a duty to attend every month. It’s only once a month so it never feels like it’s crowding you or you have a “duty” to attend – you actually look forward to it. Always the best dancers. Mainly an On-2 social, but its North/East Bay – you’ve got a crowd of dancers that are always willing to dance with anyone, new dancers alike… not trying to say anything about some South Bay events like Agenda. Best nights are when they have live bands, because they always have the best. They are spread out, so you have enough of your DJ only nights, but when they have bands like Mazacote or Montuno Swing, its a must-attend night. These two bands always play differently when in this recluse location – it’s more of an “after dark”, back street jazz club feel, where they let loose some of their best work. They know it is a “dancer’s social”, so they don’t have to play music they don’t want to just to cater to the masses at a normal club. Small place. To much Latin jazz and not enough salsa dura. Clicky, snobby crowd. I will have to agree with DubC, this is hands down the best social in the bay area. Soooo…if you could only dance once a month…there is no reason to go anywhere else but here. By far… the best On2 dancers and Mambo DJs are here. What else can I say… this is the MAIN EVENT of the month for serious Salseros. The music is superior to anything I’ve heard elsewhere in the bay area. Great social, friendly fun.. and yes is a must Mambo Social to go.. you will have a great time. Excellent space and class. The crowd is unassuming and friendly though they are mostly on 2 dancers so be willing to be gently snubbed if they do not know you or know you dance on 2. I went for the first time and did some dancing with people I had met in class and was resoundingly shunned the rest of the night by people who did not know me. Really fun place to spend an evening among good dancers and to enjoy some delicious sangria. Sizable place with a good DJ; only salsa and cha cha music the night I went. Plenty of parking and a lounge area by the bar. The dance floor was fairly empty till around 11pm. Nice studio atmosphere with a ‘bar’ area by the entrance. Highly recomend this venue! The good things are: the floor, the music, the band – because it is a small venue feels very connected. I find a lot of open people, but It kind of breaks my heart to hear something I already know – that there are a bunch of closed, snobby dancers. On the other hand, there are some creepy people who don’t respect the salseras – which also bothers me a lot. I believe we should respect everyone – beginners, intermediate, advanced, the DJ, the band, and especially the salseras. Do to others as you would have them do to you. Help and encourage beginners. If you’re advanced, it means that even if you don’t teach generally, you teach socially – your behavior affects the salsa community. If you behave badly it reflects poorly on the community. If you don’t want to dance with a person, let him/her down kindly and respectfully. You have no obligation to dance with everyone, but it is nice and good for the community to set an open, encouraging environment. Warn others to be careful if someone is hurtful or disrespectful. Try to protect each other in the least intrusive manner. The more advanced you are, the more you are responsible for your space and protecting your partner and the people around you. Always try to encourage beginners – the more dancers there are, the more venues will appear, making a larger playground for all of us. If you can only make it out once a month, make it to this social. Great DJs/bands, great space, great dancers! Great monthly local salsa dancing venue. Fun people, good dancers, and nice dance floor. I really enjoy attending Latin Fever Fridays. It’s never a disappointment. Agree with other users who say this is the best social in the Bay. Wish it happened every week and not just once a month. Free ample parking, great dancers, wonderful music and occasionally a live band. Picks up after 11. Love it! I’ve always had such a great time when coming to this salsa club hosted by Afinkao Dance Company. This club is known for its talented dancers with strong technique and I love watching and being inspired by them. When it is really busy, it is sometimes hard to find space on the dance floor. Regardless, I’ve loved social dancing here and catching up with friends. There is a great atmosphere with highly experienced dancers from all over the Bay-Area. VERY good music, good dancers, intimate dance studio and…. 6 blocks away from my house (can’t beat that). It is THE event to go to if you are intermediate/advanced on2 dancer and happen to live in Oakland/Emeryville/Berkeley. If you live on the other side well… you should check it out as well, it’s worth it. The down side is the price, I thought I would get free sangria for that much :-) but hey, it’s the Bay Area and we all know it’s pricey! I like the fact that the DJs do not have to please a mainstream crowd so they can play whatever they like, even boogaloo or latin jazz. Awesome social, lots of great dancers all in one place. More good dancers than anywhere else we have been in the Bay thus far. People started arriving at 11pm. Best social in the bay, esp if ur an on2 dancer. Small space, but worth it. Good music and overall some of the best dancers in the bay. It does not start till late, the class it as nine, the dancing starts around 10.30 and it’s too expensive for what it is. Small clicky crowd, mostly young boys who dance on 2. not enough men for all the women. For $15 one could go to a real club. They do offer free sangria that one pours into a cup from a ball with a spoon, but they don’t offer free water to drink. Sangria should be $5 and the entrance should be $10 if not $5, and the water should be free. Who wants drunk dancers, anyway? And, why should the people who don’t drink alcohol pay for your sangria? Badly managed. Class should be at 8, dancing at 9 the latest. Music is ok.